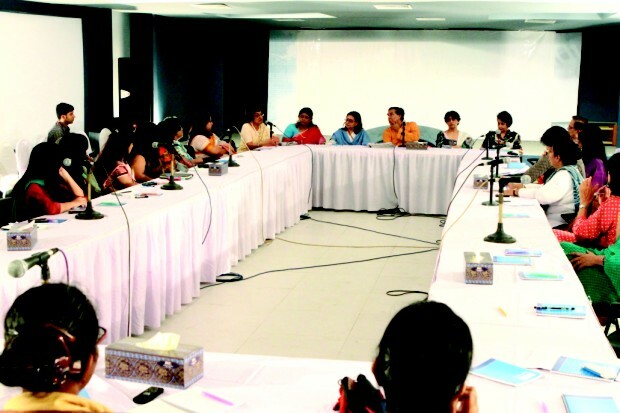 The South Asia Women's Network (SWAN) is trying to bring the women of nine South Asian countries through eight different networks to build a peaceful and developed region. Modern theories of economies and technology have created problems like climate change, food and fuel crisis. Solutions based on these same theories will only become more fatal. 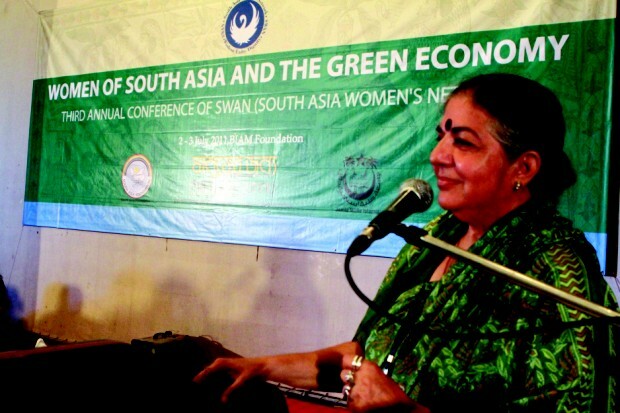 That was the warning renowned environmental activist, Vandana Shiva, Director, Navdanya and Director, Research Foundation for Science, Technology and Ecology, gave, at the third conference of the South Asia Women's Network (SWAN). In her keynote address, she said, “we have seen how the green economy defined by the capitalist patriarchy is creating food scarcity because they are converting food into bio fuel.” She referred to the use of soy oil as biodiesel in the western world. She emphasised on the importance of defining Green Economy from women's perspective based on biodiversity, traditional and ecological methods of production. “Women's green economy can be in every woman's hand. Corporate green economy can only be in the hands of the five corporations. That is leading to increased poverty because through patenting, royalty outflows. We are losing a thousand crores rupees every year,” she added. The eco-feminist urged the different networks of SWAN to become non-violent biodiversity warriors stating that our responsibility as South Asian women is to respect nature and save more seed. Her speech was echoed by the other panellist attending the first session of the conference — Dr Atiq Rahman, Executive Director, Bangladesh Centre for Advance Studies (BCAS), Khushi Kabir, Coordinator of Nijera Kori, Bangladesh and Uchita D Zoysa, Executive Director, Centre for Environment and Development. Organised by Manusher Jonno Foundation the SWAN conference took place in Dhaka on July 2-3. Along with women and green economy other issues related to the eight networks of SWAN — Arts and Literature, Crafts and textiles, Education, Environment, Health, Media , Micro-credit and Peacemaking, were also discussed. SWAN is headquartered in the Academy of Third World Studies, Jamia Millia Islami (JMI), a central university at New Delhi, India. 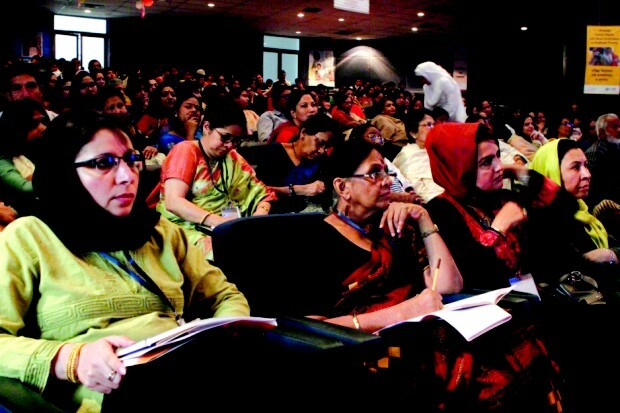 It emerged from a conference on “Women of South Asia: Partners in Development”, organised by the university on March 2009, with the support of Indian Council for Cultural Relations (ICCR) and the South Asia Foundation (SAF). Professor Veena Sikri, the convener of SWAN and Ford foundation endowed Chair (Bangladesh Studies Programme) at the Academy of Third World Studies, JMI is a familiar face for Bangladesh. “During my years as a career diplomat, I was in Bangladesh, Nepal and in all the South Asian countries, I found that the essence of friendship between countries is people to people friendship,” she said. She noted that diplomatic relations may change with government but the real friendship between people remains. She also stated how interaction lacks among younger South Asians, unlike their older generations, who share a common past. “Because we don't know each other, we don't understand and appreciate each other. To become friends, we have to understand each other. That is the objective,” she added. in the two-day Crafts and Textile fair. “Particularly among the women of South Asia I felt this lacking,” she continued. In her opinion, women are a force for moderation and peace because women want to preserve tradition and raise happy families, but their contribution in society is not acknowledged. “The idea was to get women together in the same sectors where they can interact with each other and get to know each other better. Creating understanding among women is the best way to create understanding among countries,” she emphasised. The conference was inaugurated by Dr Shirin Sharmin Chowdhury, State Minister, Ministry of Women and Children Affairs, Government of Bangladesh. Around 55 South Asian women from the nine countries --- Afghanistan, Bangladesh, Bhutan, India, Maldives, Myanmar, Nepal, Pakistan and Sri Lanka, attended the programme. 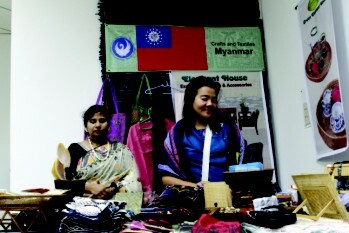 A two-day Craft and Textile fair, where artisans from all the nine countries displayed and sold their country's handicrafts, was also held alongside the conference. At the inauguration, the audience was presented with a Bengali folk dance Raibeshi based on martial arts. Both male and female performers of the Bangladeshi dance group, Sadhana, took part in the dance. The dance was followed by a welcome address by Shaheen Anam, Executive Director, Manusher Jonno and coordinator of the SWAN on Micro-credit, Livelihood and Development. She highlighted SWAN's aspiration to develop concrete ways to stay linked and learn best practices and share technology to pull women of South Asia out of misery. Reports on the activities of each of the eight networks were presented at the conference. Jaya Jaitly, coordinator of SWAN, Crafts and Textile, shared how craft became an instrument of diplomacy. She told the story of a Pakistani and an Indian parandi (a type of hair accessory) maker, brought together by SWAN. They became such close friends that one wept more than the other, when she heard of the other artisan's sister's death. South Asian journalists from the SWAN on Media visited The Daily Star as part of their field visit. The Craft and Textile network had previously organised a 10-day event at Dilli Haat, Delhi in 2009 with participation from six of the South Asian countries. Later in January 2001, a two-day seminar on “Sustainable Livelihoods through Crafts for the Women of South Asia” and a ten-day workshop on “Design Development, Intervention, Innovation and Implementation” was also held at Dilli Haat. The objective of the event was to develop SWAN products designed by a panel of designers from each of the nine South Asian states. 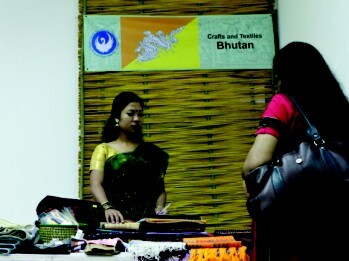 Social worker, Roselyn Gurung, from Tarayana Foundation, Bhutan stated how the event at Dilli Haat had helped market products from remote areas of Bhutan and gave exposure to their community artisans. According to Roselyn, Bhutan being a matriarchal society has fewer gender equality issues compared to the other countries in the region. Yet participating in SWAN helped them to learn best practices in various other fields. “Bhutan has this very good concept of Gross National Happiness (GNH) and may be we can share this with everyone who is interested,” Roselyn added. In fact SWAN's convener, Professor Sikri expressed her willingness to talk about Bhutan's GNH index in other South Asian countries and create a South Asian Gender Index. The SWAN on Art and Literature organised LEELA- South Asian Women's Theatre Festival in March 2010 where six plays from India and eight plays from rest of the South Asian countries were presented at Delhi. Afghani playwright, theatre director and performer, Monirah Hashemi stated how LEELA provided exposure to Afghan women artistes. “I hope there will be South Asian Women's Short Film Festival soon and may be a women film makers' union,” she commented. The Education network of SWAN, coordinated by Dr Rasheda K Choudhury, former advisor of Caretaker Government, Bangladesh, had organised a workshop on “Gender Equality in Education: Beyond Numbers” in December, 2010. Soon after the workshop, UNGEI (United Nation Girl's Education Initiative) entered into a regional partnership with SWAN to develop the South Asian Parliamentarian's Forum for Gender Equality in Education. At the Dhaka conference, a presentation on “Women and Education: findings from a Research Study” by Pativa Srestha, attracted a lot of attention. Prativa, programme manager of Stree Shakti, a NGO in Nepal, showed how they persuaded the Centre Bureau of Statistics, Nepal to maintain gender disaggregated data. She said that this kind of data helps to keep track of progress of gender equality in education. Another participant, Salini Joshi, from the Indian NGO Nirantar, an organisation that works on gender and education issues, appreciated the Nepalese initiative. She opined that all other South Asian countries should follow in Nepal's footsteps in maintaining similar data. The most important element of the Dhaka Conference was drafting the Dhaka Declaration. It aimed at presenting the voice of South Asian women and their stance on Green Economy at the Rio+20 United Nations Conference on Sustainable Development, to be held in Brazil on June, 2012. The draft spoke against the invasion by corporations through privatisation and commodification of nature, species, ecosystem and ecosystem services. Rather it emphasised on the traditional role of women in local economies of South Asia as a tool for poverty alleviation. However, citing the case of Afghanistan, the draft also noted that sustainability or Green Economy cannot be achieved without peace in the region. The two-day conference ended with a valedictorian speech by human rights activist Irene Khan, former Secretary General of Amnesty International. She said that education and job opportunity are the two main reasons for gender inequality in South Asia. She also highlighted how political unwillingness created a barrier in implementation of women friendly laws and constitutional rights in Bangladesh. Yet among all the problems that came into light during the conference, the SWAN members found hope. “Every little drop of water will combine together and become an ocean,” Professor Sikri concluded, citing examples of successful works by SWAN members at grassroots.